Asking yourself whether you should buy a fully loaded version of a vehicle that’s highly practical or perhaps opt for a more premium solution to your SUV problems, is beginning to sound like an everyday dilemma. 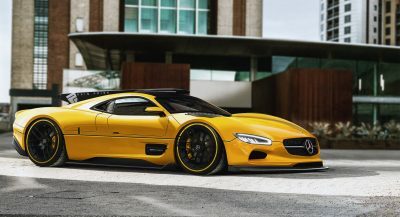 Buyers around the world are now being faced with more non-premium automakers building products that are extremely well equipped and also very spacious, giving you cause to pause in cases where you may have been looking to buy something with a “better” badge. The Subaru Ascent is a perfect example of what that dilemma looks like. 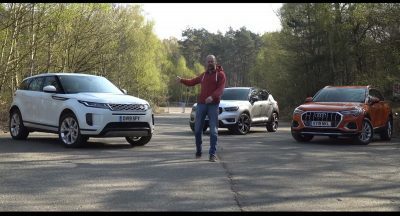 Not only is it cheaper to purchase than something like a BMW X3 or an Audi Q5, it’s also more practical, and you can specify pretty much everything you’d like on it for the price of an entry-level compact premium SUV. Let’s take a look at the field and run through some of these premium products that one might have to overlook because of nameplates such as the Ascent, which you can even get with enough room to seat 8 passengers thanks to its three-row configuration. 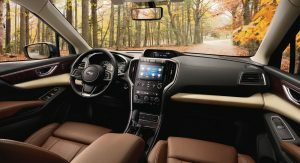 Buying into the 2019 Subaru Ascent range can be as cost efficient as spending just under $32,000 (no taxes included) for a base spec model, which still comes with the automaker’s Symmetrical All-Wheel Drive system, enough room to carry 8 passengers, Subaru StarLink Multimedia system, the EyeSight driver assistance tech, Hill Descent Control, 18-inch wheels, folding mirrors, climate control and a great deal more. As you can see, the standard equipment is actually pretty good for an entry-level crossover, although if you want, you can opt for the flagship Touring spec, which costs a whooping $44,695. But for all that, you get goodies such as power tilt/sliding panoramic glass moonroof, 4G LTE Wi-Fi, 20-inch alloys, 8-way power adjustable driver’s seat, power adjustable front-passenger seat, heated and ventilated front seats, heated second-row seats, heated steering wheel, leather upholstery, keyless access, power rear gate with height memory function, tri-zone climate control, an 8-inch infotainment screen and a Harman Kardon QuantumLogic Surround audio system. And you get all of those before you even tick any boxes in the options list. So the question becomes, to go all in on the Ascent Touring or do you opt for any one of the following five premium crossovers? The base spec for the Audi Q5 in the U.S. is called ‘Premium’, which sounds a little too self-explanatory. 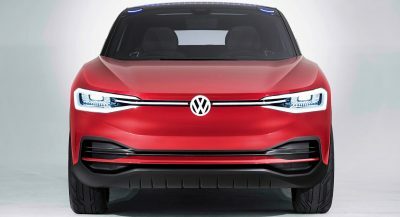 Aside from the 2.0-liter TFSI engine and standard all-wheel drive system, you also get Apple CarPlay and Android Auto, 18-inch double-spoke wheels, Audi Pre Sense Basic and Audi Pre Sense City, plus a rear view camera with a 7-inch color display at no extra cost. There’s no fancy sound system, no heated seats, no LED headlights, and overall less safety tech than you’d find in the top-spec Ascent. 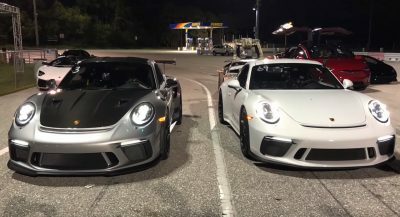 Of course, that doesn’t mean that you won’t feel a difference driving them, as the Audi should prove more dynamic on the move and better built as far as interior quality is concerned. You see what the problem is right? The cheapest BMW X3 you can buy as a 2019MY car is a rear-wheel drive version. 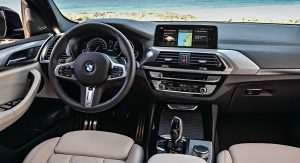 A more correct (not to mention capable) comparison here would be with the xDrive30i model, which costs upwards of $43,000 yet does pack features such as 10-way power front sport seats with 2-way power side bolsters, leather steering wheel, BMW ConnectedDrive Services, Rear-View camera, 6-inch infotainment display, Dynamic Cruise Control, rain sensing wipers, power tailgate, Park Distance Control, 3-zone climate control and ambient lighting. You even get BMW’s ActiveGuard technology, with Frontal Collision Warning, Automatic City Collision Mitigation and Daytime Pedestrian Detection. Again, arguably a much more dynamic option than the Ascent, but still not quite close enough when it comes to convenience and practicality. Yet another case of having to pay more in order to get all-wheel drive. So while the sub $41,000 price tag is quite appealing, you need to spend at least $42,700 if you want the 4MATIC version, which you definitely should. Standard features include 14-way power driver seat with memory, dual-zone climate control, power-folding side mirrors, power liftgate, 7-inch infotainment display, Crosswind Assist, Active Brake Assist, Attention Assist, rear-view camera, LED Daytime Running lights and taillights and the automaker’s adaptive braking technology. So if you require room for eight or even seven, the GLC is obviously a no-go. But if you want something that’s a little more stylish, more posh, better built and more enjoyable to drive than the Subaru, the Mercedes makes just as much sense as any other car here. If you’re happy with a front-wheel drive crossover, then the entry-level Volvo XC60 T5 Momentum looks like a pretty solid option. The all-wheel drive version costs $42,100, slightly less than the GLC 300 4MATIC and $900 less than the X3 xDrive30i. The Volvo however gives you a large 8-inch display, SiriusXM Satellite Radio, Apple CarPlay and Android Auto connectivity, 18-inch wheels, LED headlights with Thor’s Hammer Daytime Running Lights and Active High Beam, 2-zone automatic climate control, laminated panoramic moonroof with power sunshade, power driver seat with memory function, power adjustable front passenger seat, auto dimming interior mirror, cruise control, leather steering wheel, Hill Start Assist, Hill Descent Control, Rear Park Assist, Oncoming Lane Mitigation and Lane Keeping Aid. 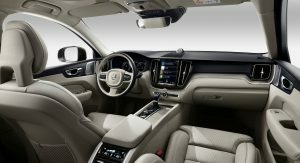 Those are some seriously impressive standard features, so you can easily purchase the XC60 without feeling an impulse to get any optional extras. Is it good enough to keep you from buying the larger yet non-premium Subaru Ascent? You tell us. The entry-level Lexus RX is the regular 350 version with front-wheel drive. The all-wheel drive model costs upwards of $44,970, while the RX 350L with the additional third-row can be had from $47,770 (FWD) or $49,170 (AWD). Granted, the RX isn’t generally viewed as a Q5/X3/GLC rival, but it’s not exactly big enough to take on the Q7/X5/GLE trio either. Besides, it actually has the smallest wheelbase out of all of these models. Still, Japan’s answer to the question we’re asking here is a very stylish and comfortable one. 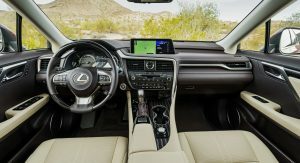 Also, at no extra cost, you get Smart Access, power open/close rear doors, dual-zone climate control, power tilt and telescopic leather steering wheel, Lexus Enform Safety Connect, HD radio, power-adjustable front seats, Lexus Safety System Plus and a total of 10 airbags. 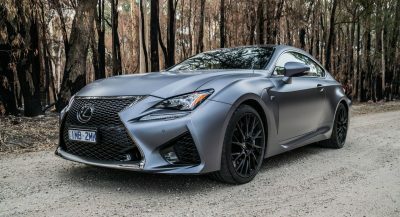 Despite its looks, it’s not quite the most modern crossover here, but then again, some Lexus buyers might not even care about who’s got the best driver assistance systems and all that. Altogether, as an alternative to the $44,695 Subaru Ascent Touring, the all-wheel drive Lexus RX is certainly worth shortlisting. The decision comes down not only to personal preferences but the forces of the environment around you. I live in the hoity-toity part of town and most folks succumb to the “keeping up with the Kardashians” kind of thing, so it’d be one of the luxe brands. I don’t, so I’d take the Ascent any day. The Lexus or Volvo. Subaru is way too bland in looks for me. The luxury cars, but that’s mostly because I don’t think the Ascent is that great of an SUV. It’s not bad, by any means, but midgrade. The CX9 is better. Don’t tow, so that means nothing to me. It looks and feels cheaper, and the quality in the Mazda is superior on the interior. Also, like the powertrain in the Mazda. There are actually a few other vehicles in this class that I think are better. This Ascent just feels very middle of the road for what it could have been. Id rather get a CX-9 Sig. I’d get a 2 years old top-of-the-line used luxury sedan for about the same price. USED really is the way to go. Especially given the fact that most 2 year old cars still have plenty of warranty left. Pilot is still the best bang for buck. The superior 4wd and 5000Ib towing capacity make the Ascent a clear winner if you have a boat or other trailers. Why is the resale value never made part of the decision making process?? None of the above for me.